We are also interested in discussing partnering opportunities with organizations and independent agents interested in offering energy supply and procurement solutions to clients and prospects. 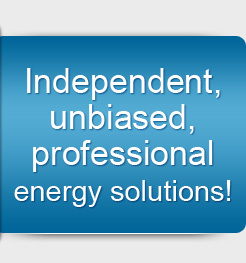 Axsess is well positioned to help partnering organizations and independent agents increase their breadth and depth of offerings and provide the support necessary for excellent energy supply management service. Successful independent agents typically have at least 3 years of direct business origination and selling experience and are able to demonstrate a successful track record in a similar position. Key skills and attributes include: effective customer acquisition; ability to work independently; very strong interpersonal and communication skills; strong customer service and account management focus; ability to think creatively. We offer flexible and fair compensation that will allow you to grow your income to the level you desire. Please contact us if you would like to further discuss opportunities and forward a resume with a cover letter describing specific examples of how your business development efforts can generate revenue. Successful partnering organizations typically i) interact with personnel at prospect companies who are involved in some aspect of their company’s energy supply procurement or management (operational, financial, etc. ), and ii) can suggest energy supply procurement and management services as a complementary offering. Please contact us if you would like to further discuss opportunities.